Mr. Robert John Briscoe, also known as Bob, is Owner of Dubé Loiselle. 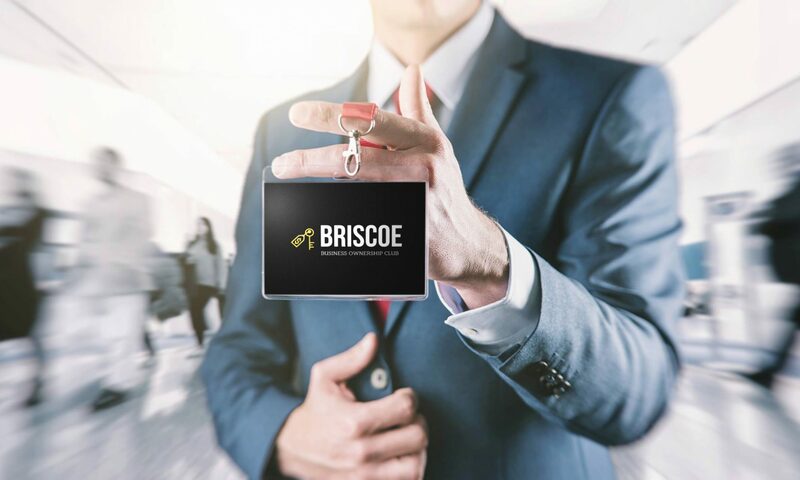 Mr. Briscoe serves as Vice President of Iec Holden Inc. Mr. Briscoe serves as President of Macco Organiques Inc. Mr. Briscoe is a seasoned operator in the foodservice industry. He owned and served as president of Alimpus Inc. from 1990 to August 2014. Finding a business was the biggest challenge. I made up the criteria that I wanted, like I wanted it to be in food, a B2B not a B2C, I wanted something in my chemical and microbiological background, close to Montreal. Then I found the cheese factory – that was the first acquisition I made. But finding the appropriate business was the biggest challenge, and after that you got to finance it, negotiate the purchase. It has to be something that fits your abilities. I am not a marketer, I have no experience in it and my background is production, so the business had to be something that fit with me. Throughout the years did you continue solely on the food industry or have you expanded? I have expanded. Primarily I am in food and chemicals. There is an anomaly: traction motors for locomotives, which is completely different, and I got into it because I financed the purchase with a partner. Then we separated so I ended up with 100% of the business, and I brought my son in to learn and run the business. Today how are you building the business to prepare for tomorrow for all the changes? Depends on the business we are talking about, since I got the electric motor business, the chemical business, and partnership with a company that I was chairman of (Lallemand), and the food distribution business. I sold the cheese factory a long time ago, but I am back to cheese distribution and distribution to restaurants. I have a company called Dube Loiselle and I have invested in colabor, which has 1.4billion sales in resale, so I own 10% of that. So how do you see the future shifting towards AI, machine learning, all these technological shifts? I don’t think about it. I don’t think the restaurant supply business is going to change very much and same for the chemical manufacturing business. Restaurants, for example, need preservatives, but there’s not going to be a significant change in technology – it is not a high-tech business. Do you see how in the distribution segment, systems can be put into place to expedite supply chain? It takes people to pick the orders. Unless you’re in a huge scale, we receive a lot of our orders by internet, so the customers order online, they process it, we pick the orders that come in until 4pm and deliver the next day. That’s for the distribution business. For the chemical business, we get orders and we’re a manufacturing business, so we ship them to inventory. I don’t see major technological changes – I try to stay away from fast-changing technologies, like cell phones or apps. I don’t invest in technology. As far as attracting talents, what do you do to find the best people and to keep them? I try to network rather than use head hunters. I will use a recruiting company as the last resort, but I try to recruit through networking. I try to motivate the key people, give them whatever they need to do a good job, so it’s not directing them in saying what they need but providing what they need so they can do a better job. It’s not micromanaging, it’s finding the right people and enabling them. What made you take the leap of buying that cheese factory? That’s an easy question to answer. I wanted to control my own destiny. I didn’t want to be working for someone else. When I grew up, my parents were poor, and I didn’t know what I wanted to be when I graduated from high school but I liked chemistry, so I decided to get a chemistry degree. I got a Bachelors of Science from Concordia University. I wanted to be a chemist because I didn’t want to be a laborer. Before I finished my BS, I realized that managers got paid more than chemists, so then I wanted to be a manager. So, I got my MBA and before I finished my MBA I realized I wanted to be an owner not a manager. It was an evolution. Biggest hurdles in building your own businesses and how you overcame them? I’ve never built a business, I’ve always reinvested in a business. The most important thing to me is that you keep reinvesting in the business and that you take the long-term [route]. There is a professor at Concordia called Calvin Potter from a long time ago – he taught an MBA class – and he said one of the most important things in life is how to manage your time preference. Do you spend the money now, or do you save the money and build it? We lived very frugally in the first 15 years of our life in order to invest and save rather than to spend. For the first 12 years we were married, we would eat out in a restaurant maybe once a year for our anniversary. And that is the time preference of money. I know people who bought businesses and right away they were spending a lot. They were multimillionaires, but they were overspending and then things got tough. So I never overspent and lived frugally. Did you have major competitors? I am not a seller, I don’t like to sell businesses. You talk to people and they ask “what’s your exit strategy?” and I don’t have one. My exit strategy is death. What would you say is the most important factor in your businesses’ success? By far the most significant was when I worked for a company as a chemist/microbiologist. I became the president of that company, Lallemand Inc. I started there in 1966 as a chemist/microbiologist and I became general manager in 1972 at the age of 31. The owners sold me 10% of the company – they agreed to sell me 10% if I stayed. At that time, it was basically negative equity, negative working capital, and I turned it around. My 10% took on value, which gave me money to buy the cheese factory. So the single most important thing was that first opportunity to have equity, and fortunately I was successful with it. But that opportunity that I got from the owner of Lallemand at the time and the confidence that he put in me, the responsibility he gave me, that was by far the most significant factor. Biggest mistake you’ve made as a business owner? Giving my son-in-law ownership to one of my businesses, instead of giving it to my daughter. What’s been your greatest moment of success? My biggest success was in the chemical business. I took it from nothing and made it into a very profitable business. Another key achievement was the traction motor industry, we transformed it from being an importer of product to manufacturer of traction motors. Looking back in retrospect, what would you have liked to know before you started? Any words of advice to the young entrepreneurs? Live within your means. I am pretty happy with how my life turned out – I don’t have a lot of regrets. One thing I would mention is control your ego, don’t get sucked in by other people who are doing well or seem to be doing well. When I was early in my career and I had the cheese factory, there were guys who were spending a lot of money and looked successful and wanted to run with the giants. A lot of them didn’t make it. So, live within your means and be very rigid in your criteria for investment. I shoot for 25% return on equity – that’s my goal. If you do that, it’s pretty hard to lose. Finally, be patient – don’t try to do it all in a year or in 5 years. If you’re patient and do all the little things, everything works out. Grow as fast as you can afford to grow. Previous PostPrevious BBOC Spring Extravaganza!! !